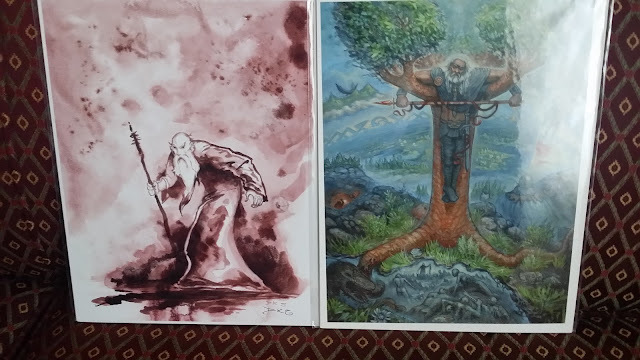 If you ask me what most of my purchases were at NTRPG Con in 2014, the quick answer would be "art." 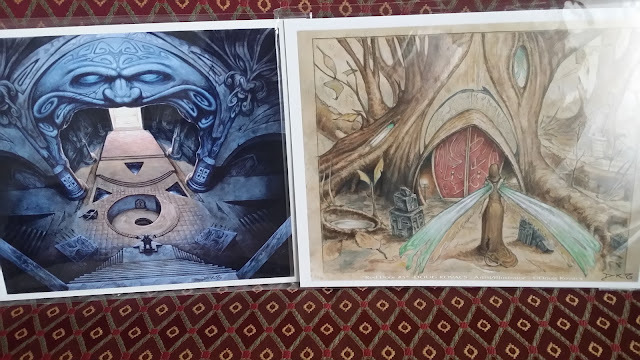 The more detailed answer would be +Doug Kovacs art - both originals and print. My only regret is that we sill need to finish renovating the living room before we can properly display some of the amazing pieces. Now, if you ask me what most of my purchases are thus far at NTRPG Con in 2015, I'm going going to go straight to +Doug Kovacs art again. 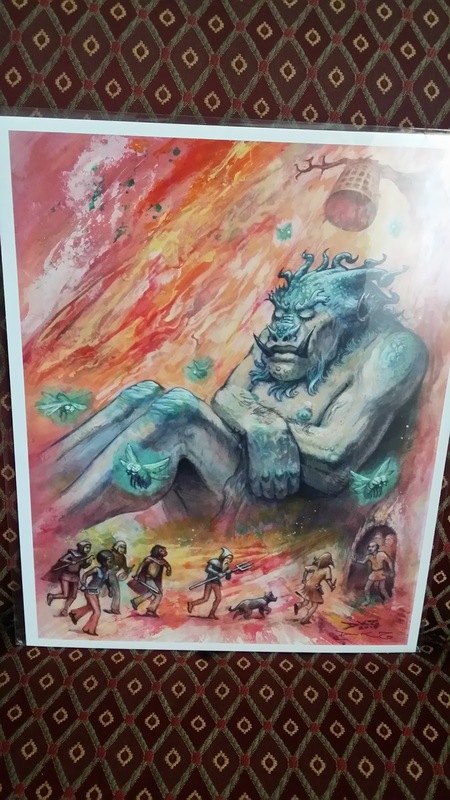 With few exceptions, much of the gaming product available at NTRPG Con is available for purchase online. You can't talk to Doug and peruse his wares from the computer like you can in person. I knew coming out I'd be heading immediately to Doug's table, and that's what Rach and I did yesterday. Wow, I'd never seen a few of those and those last two are just...perfect. Great pieces. He's the man. Very friendly guy and such an amazing artist. He signed my DCC book at Game Hole Con II and drew a little picture in it. He'll probably be at GHC III as well. I hope so!